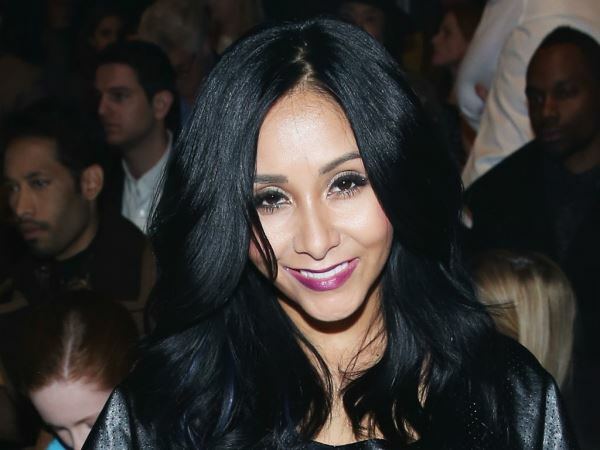 Snooki thinks Giuliana Rancic was “trying to be funny” with her comments about Zendaya. The host caused controversy when she said that 18-year-old’s dreadlocked Oscars ‘do made her look like she smelt of “patchouli and weed” during the Academy Awards episode of Fashion Police. Despite Giuliana’s multiple apologies, and Zendaya’s acceptance of them, co-host Kelly Osbourne has since quit the programme. And one person more than unhappy about her decision to leave is former Jersey Shore star Snooki. Snooki has previously been a guest presenter on Fashion Police. And the mother-of-two opened up about just how celebrities are prepped for the show in her lengthy blog. “Before you go on the show they give you the pictures and you look at it and sit down with the producers and tell them what you’re going to say about them,” Snooki continued. “And if you didn’t have anything funny, they would try to give you ideas. So I can see her side if producers suggested her using that line, but even if they didn’t and she said it, I don’t think she was trying to hurt anybody’s feelings or say anything hateful or racist. According to reports, Christina Milian, Naya Rivera, Khloé Kardashian and NeNe Leakes are the frontrunners to take over from Kelly. However, TMZ claims that E! has been overwhelmed by the amount of Hollywood agents submitting their clients for the position. And despite claims that Kathy Griffin, who took over from the late Joan Rivers as the main host of the show earlier this year, wants final say on the new candidate, sources say that E! bosses have indicated that they will be choosing the presenter themselves.